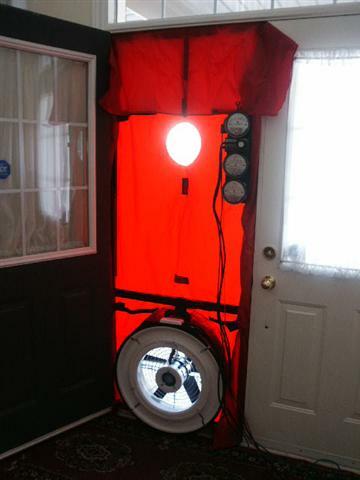 We offer blower door energy audits for homes and businesses. A blower door audit can identify any areas of your structure that may be letting in outside air and letting your heated or air conditioned air escape. Here you can find out a bit more about it. your doors, windows and its frames, but since some air leaks are difficult to identify and to measure, the Blower Door Test is a common piece of any professional audit. implement test, usually performed in less than an hour. It uses a large and special variable-speed fan mounted on a panel that is temporarily fitted into an exterior door opening (doorway). 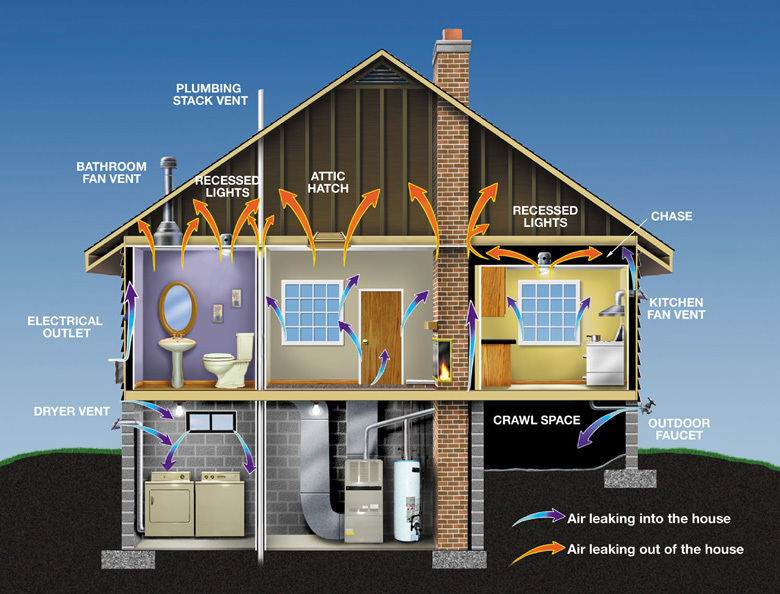 inside your home is gradually reduced, causing the outside air to flow intensely into the house – through eventual cracks and unsealed openings – making it easy to measure and identify those air leaks – a task accomplished by several pressure gauges intertwined with the test fan (they measure both the rate of airflow and the home’s resistance to air infiltration). will have to close the windows and open the interior doors, and turn down heaters and thermostats, shut fireplace doors, dampers, and wood stoves and similar air intakes. inspections. The blower door promotes air leaking through gaps and air leaks in the house structures, which will appear as visible black streaks in the view finder of the infrared cameras (used to test the insulation). audits. They generate a set of images of the home’s walls and structures, to determine insulation gaps and insufficiencies. detect and assess home’s heat losses and air leaks associated with insulation (or lack of it, to be more precise). 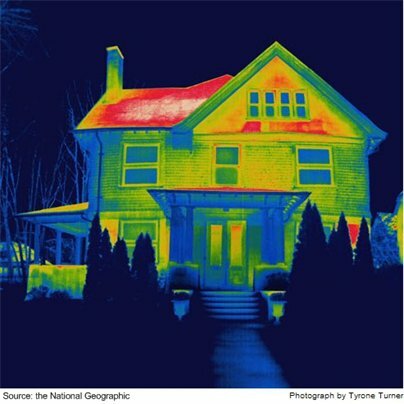 The main use of thermographic scans is typically to check the effectiveness of the installed insulation, or, in other words, to determine the insulation levels, and the walls or parts of the house where it should be added. Thermographic inspections are often used in existing buildings, during professional energy audits. But you may also demand a thermographic inspection when buying a new home, since new houses aren’t immune to gaps and insufficiencies in their insulation.